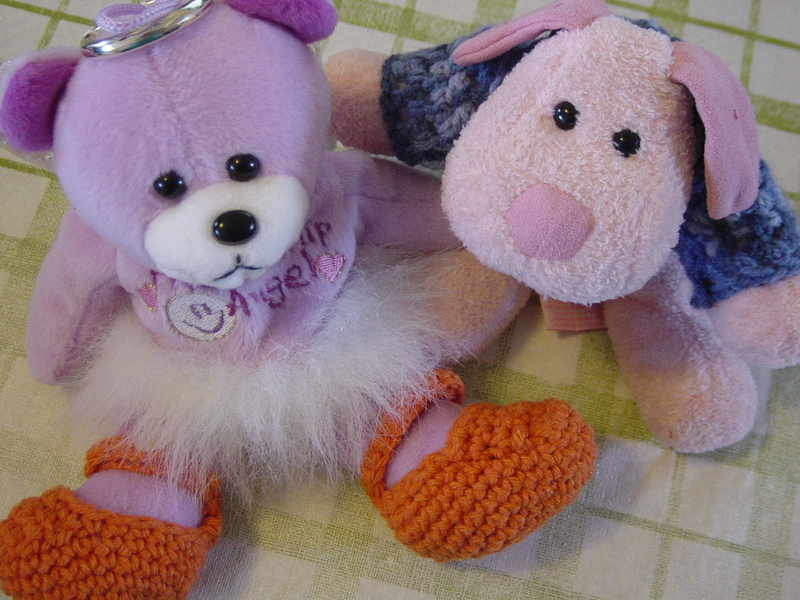 These orange mary jane slippers are meant to look silly on my purple angel beanie bear! I'm pleasantly surprised these worked out as well as they did. I did not follow a pattern at all, I made these slippers up freestyle. 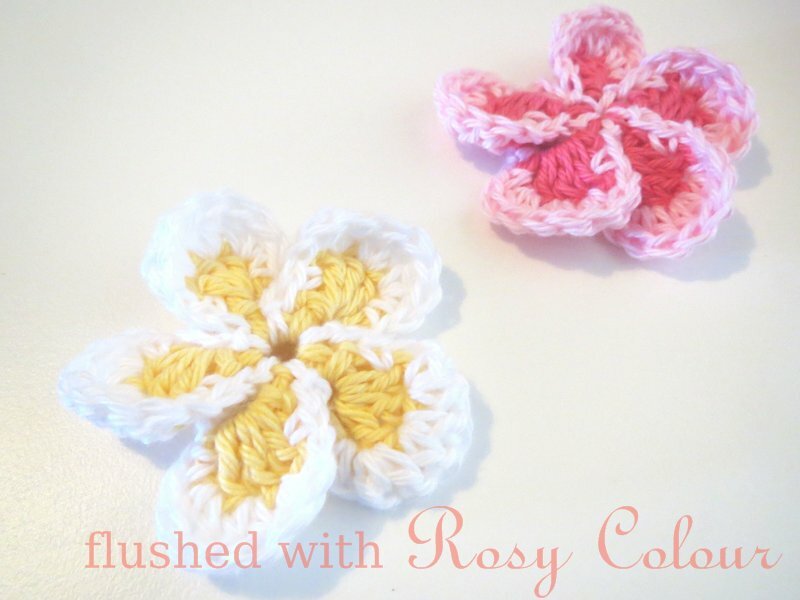 I did this activity to see if I was able to make up something to shape without a pattern. Maybe if I can do this, one day I'll be able to make my own freestyle socks. 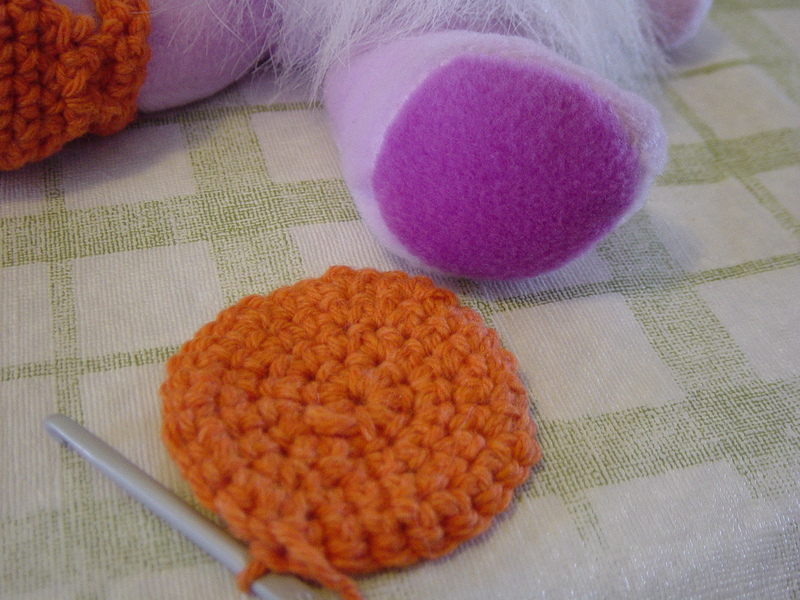 First, I started by making a flat round that was as big as the sole on the teddy's foot. For this teddy, it took 4 rounds, with the 1st round being 8 sc. 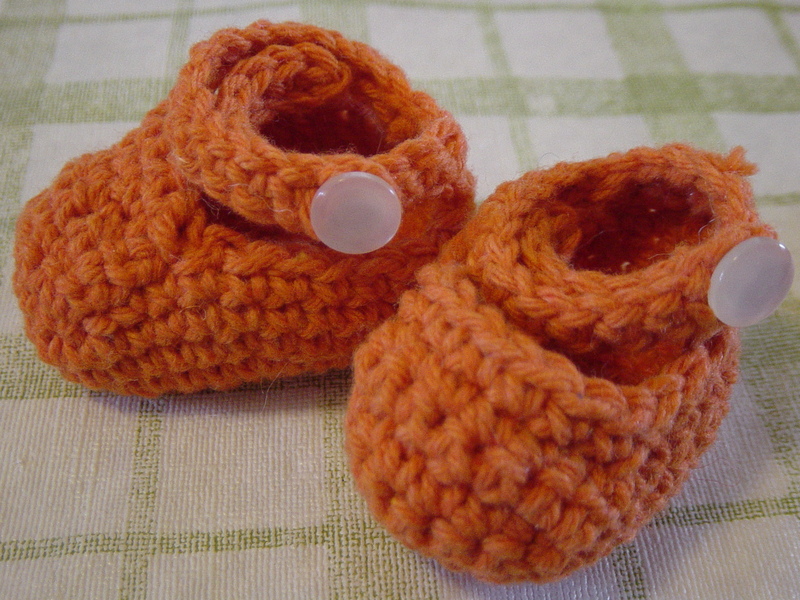 These are slightly large and because crochet has some stretch, when I make these again I'll make them the same size as (not larger than) the foot. When the sole is done, finish off with a slip stitch then start the next round moving vertical up from the sole and no longer increasing stitches. For these, it took 2 rounds before it was time to do the toe. For the toe I turn, slip stitch and sc across the front, then turn and go back, adding a slip stich in the side as required. It's a freestyle so I just worked in a stitch as was required to form the platform on top of the toes. For this teddy, they took about 4 or 5 rows of sc. I then did another round along the rest of the shoe and did a couple of extra rows of about 3 sc each at the heel. Then it was time for the ankle strap which was simply a matter of chaining the required length then turning back with sc along the chain. Then I did the other side of the ankle strap, ending with about 5 chains in a little circle for the button hole. I put the shoes on the teddy to measure where the button should go and then used my tiniest hook to pull some yarn through the button to fasten it. See? Angel just needed some high fashion shoes before hitting the town with her friend!